This is a semi-regular feature I want to add to this blog. It often happens that after I’ve come back from a trip and done the first few rounds of editing of my pictures and selected the best ones for my agent, I never go back and look at the rejected images later. This is a shame. For whatever reason, sometimes a perfectly awesome or just funny and quirky image gets passed over, and then I never think to pull it out to show it to anyone. With this feature, I aim to change that. This one got noticed before I sent the selects to my agent, but only yesterday, almost 3 months after the trip. 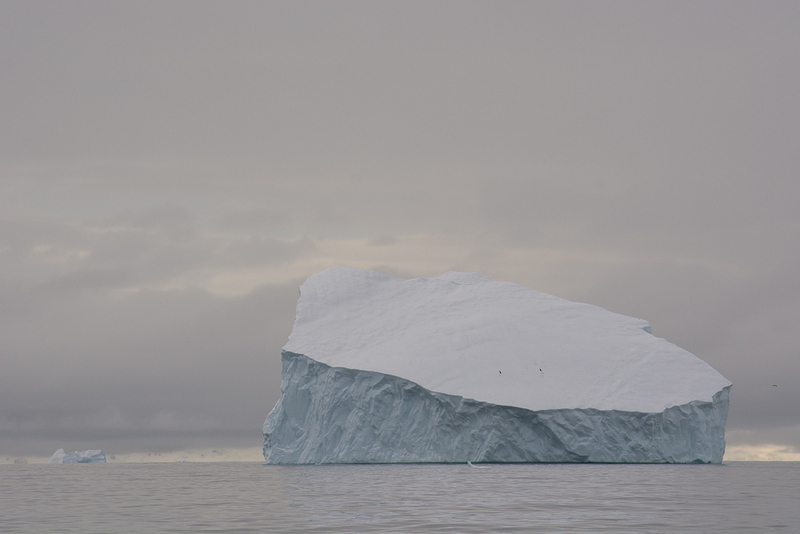 This time the reason was that this was a day– our last among the icebergs before heading back north– that had some really weird light. It wasn’t cold, but it was cloudy and snowy and for some reason the light ended up alternately really steely or with a weird yellow cast. So the RAW image looked, for lack of a better word, like crap. Shooting in RAW is amazing, and if your camera can support it then everything you do should be in RAW. It just gives you so much flexibility afterwards in terms of what kind of dodging and burning, color correction, horizon-straightening and white balance control you can exercise later. I don’t do much in Lightroom — usually just tinker with the exposure, white balance, and the white/black shadow/highlight sliders. Sometimes I add a graduated neutral density filter if needed and then spotting if I had something on the sensor. If your images are going to be made into jpgs to view on the web, it can be a good idea to bump up the saturation a bit, as making it into a jpg is going to dull that down, so the end result will be closer to what you see in Lightroom. I don’t do HDR and I don’t mess with other effects. It’s really hard to control that stuff and not make your image look like someone’s overenthusiastic, ham-fisted Photoshop assignment. So like I said this day had some weird light and I somehow ended up with this batch of images way warmer than they should have been so they all looked really janky. 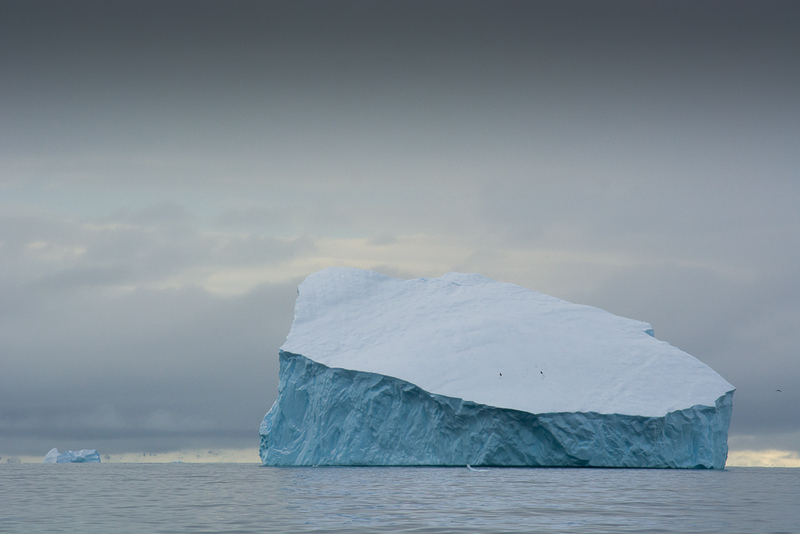 So I cooled the white balance down to something that approximated what it actually looked like that day and bumped up the contrast and voila: a nicely textured iceberg with a couple of Antarctic shags (like cormorants) on it.